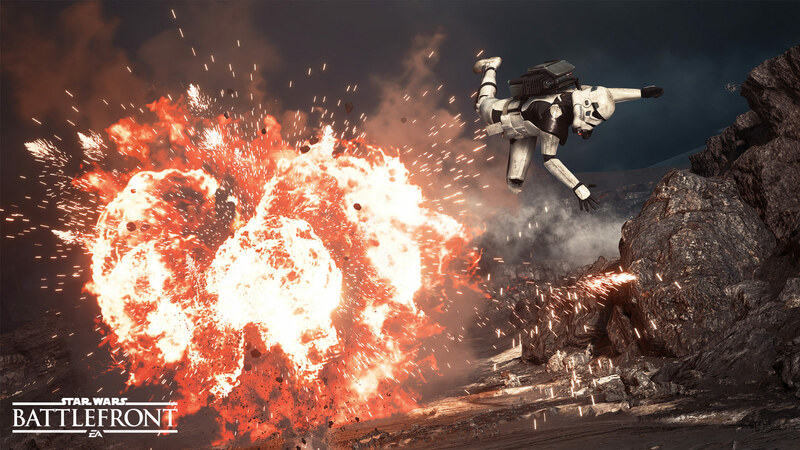 The five man sound design team working together at DICE have had a blast working on Star Wars™ Battlefront™! We asked each of them to tell us one of the stories behind some of their, and your, favorite sounds in the game. First up is David Jegutidse, Sound Designer, who will talk about the sound of the Thermal Imploder. DAVID JEGUTSIDE: When we first talked about adding the Thermal Imploder to the game, and discussing how it would function and look, it immediately became clear that it would be a very interesting creative challenge and an opportunity to add something unique and recognizable to the soundscape of the Star Wars universe. Seeing how the internet has picked up on it and appropriately called it the "dubstep grenade", it looks like it left an impression or two. The initial idea was to create something that, while having its own character, reminded listeners of the impressive Seismic Charges in Star Wars™: Episode II: Attack of the Clones™. For the first part, which is the expansion and collapse of the ring of light, we used Ben (Minto)’s modular analogue synth as a base. We played around with it, long before the Thermal Imploder was even conceived and recorded a variety of tones, hums, and pulses originally intended for the charging of the Atgar laser turret. From that session I could extract a variety of pulsing, very bassy hums and process them to fit into the game’s mix. The main advantage of using an analogue synth sound is that it generally feels more organic and physical than digitally created sounds. And of course, the character of an analogue synth is an essential part of the sound of Star Wars. This alone however did not yet provide enough of the sense of movement I needed to emphasize the motion of the ring of light. To achieve that I actually extracted a bit of the seismic charges, directly from the audio stems of Star Wars: Episode II: Attack of the Clones to add to the front of the sound. Then I processed twang recordings of metal-spring door stoppers to put over the end of the pulse. In the short window of 0.6 seconds, the transition between those layers provided sufficient movement while feeling like one coherent sound. To finish it off, I added the nose of a powerful explosion to the very beginning in order to start off punchy and impactful. To the end of the pulse, right before the ring collapses in a loud bang, I added a variety of lead-ins made from tank shell flybys, fighter jets, engine windups and more, for the different variations of the sound, to further emphasize the movement and pronounce the following bang. The final explosion gives the whole effect its power and size. For that, a variety of realistic explosions, combined with metal wire hits recorded through contact microphones were used. 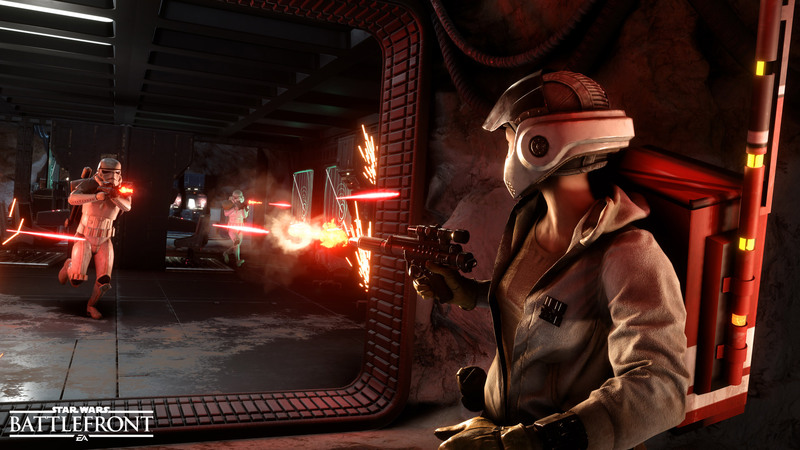 The wire hit character can be found in many sounds throughout the game and was a technique used for the original Star Wars blasters. Just as important as a tight punch are the reflections in the environment, for which three layers of sound alone are combined in run time, with different content and mix based on the type of environment. Additionally, the bang is accompanied by discrete sub-frequency content for that additional weighty bass, which also drives the camera shake, via an envelope follower, which reads and reacts to the waveform’s energy. 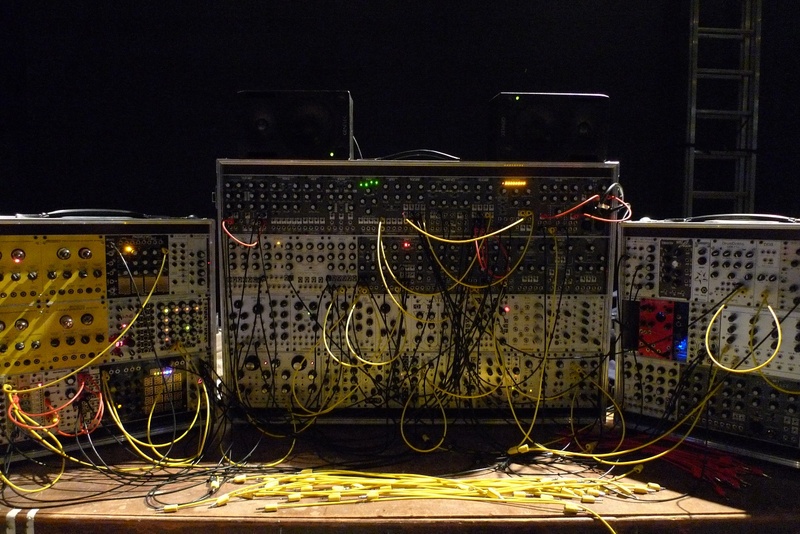 There was still room for more character and aggression though, so we went back for another modular synth session. We ended up using a modified Karplus-Strong string synthesis patch, which essentially uses a filtered bridge bucket delay line that feeds back onto itself to create a plucked string-like effect. We came up with a sound that, after it was run through some plugins, had the aggression and power we wanted, whilst keeping true to the organic analogue synth character. It does only distantly resemble the seismic charges but it does feel like it could be part of the same universe, which is precisely what we were going for. With this final layer, over the top of the loud explosion reflections, it felt like the sound would appropriately support the look and feel of the most iconic and largest grenade explosion (or implosion) in the game. 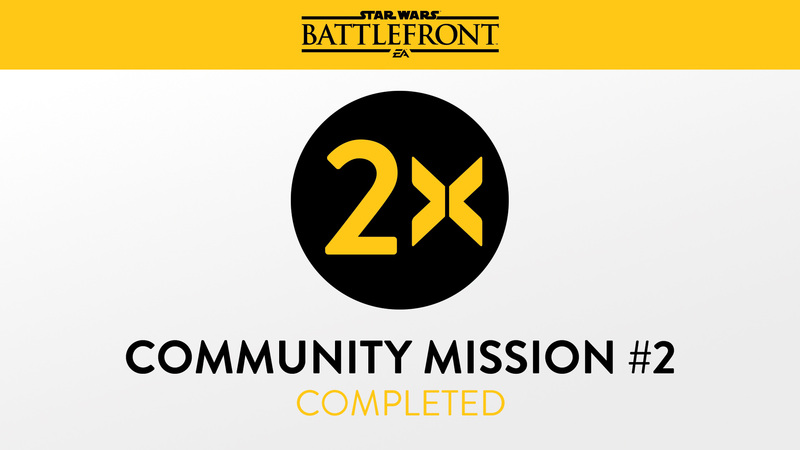 As with almost all sounds for Star Wars Battlefront the question now was: how would this sound from far away? After all, there are no real world examples or recordings. Eventually I found that the most believable solution was a mix of using real explosions with preserved dynamic range, subtle filtering to some layers, and most of all: replacing the base layer that was previously analogue synth with recordings of distant heavy construction machinery. Finally all the layers, with multiple variations that would be combined randomly at runtime, were implemented in-engine together with a final twist that sets this grenade apart from the others. Somewhat reminiscent again of the seismic charges, which had complete silence before the explosion, I implemented a system that would mute all other diegetic sound right up until the “bang” if the listener was within a “dangerous” distance to the implosion. The idea is that all sound gets sucked up in the implosion and the bass, partially routed directly to the LFE channel, creates pressure on the ear drums. It also really gives the grenade a kind of show-stopper character in a busy and loud section of gameplay, similar to how a judge brings down the gavel to silence a noisy court room. It was great to see how sound, VFX, and design all worked together to achieve a coherent vision, which we then all delivered on, of this unusual and awesome grenade!